Loch Lomond and The Trossachs National Park is extending the Loch Lomond lochside wild camping ban to the rest of the lochs in the Park. This is, unequivocally, A Good Thing. I do here feel it necessary to correct some of your basic assertions and assumptions. I live in the Park. Moreover I and my partner live immediately adjacent to one of the lochs now – thankfully – to be the subject of the ban, something for which we’ve been asking for years. We cycle, ride horses, walk, climb and canoe. I’ve camped all over the world, from Yosemite and the Rockies to Rwanda and Iceland. So the very last thing that we, or anyone else living here wants, is to prevent people from from coming here – nearly all of us live here because we love the place, respect its wildness and wish nothing more than to see it enjoyed without its being degraded beyond the point at which utility gives way to desolation. 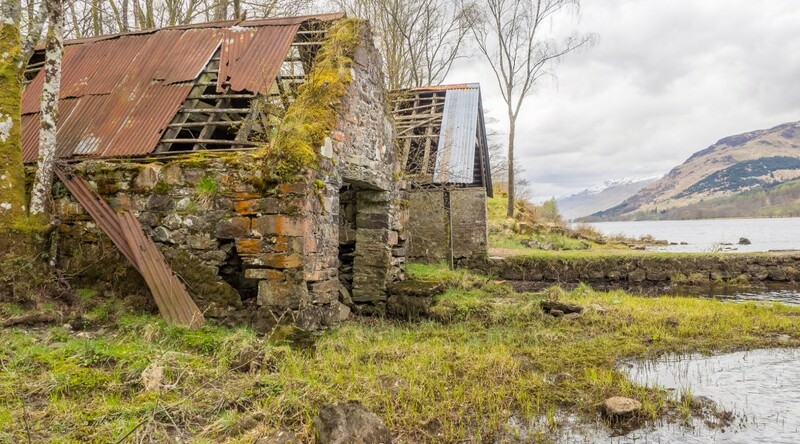 Yes, the The Land Reform (Scotland) Act 2003 was a landmark piece of legislation and it IS being eroded, not however by the National Park but by the actions of a substantial proportion – even a majority – of lochside camping visitors. Over the eight years we’ve been here, we’ve seen trees cut down with chainsaws, the undergrowth denuded, stones and rafters levered out of the boat houses to make seats and fires and fishing tackle, broken glass, cans and rubbish left lying around. And did I mention the excrement? Local residents, the park rangers and the police are all regularly abused, threatened and attacked. We’ve found drunks with running chainsaws lying in the middle of the main road with a tree on top of them; there are not infrequent fights, out of control fires and the odd theft occasioned by these numpties. Our animals and local wildlife have been injured by detritus and to have an area within fifty metres of our house becoming a festering cloaca is simply unacceptable. I think I can speak for the vast majority of residents by saying that we’re utterly fed up: we’ve had enough of having this precious environment destroyed, week by week, by visitors who ignore the Outdoor Access Code and both the intent and letter of the 2003 Act. Do remember that the ban only applies to 3.7% of the Park’s area. It doesn’t affect high-level wilderness camping, and I’m pleased by that: those few mountaineers, walkers and cyclists we see camping in the mountains are almost never a problem: they follow the old Sierra Club mantra of, “take only memories, leave only footprints”, and are welcome. The problem is with the people who won’t move more than ten metres from their cars if they can possibly help it. And that often means driving their cars onto fragile SSSI land or leaving them in highly dangerous or obstructive places along the roads. And yes, I’ve towed a few of them out when they’ve become stuck, with only mild sarcasm. Whilst I absolutely agree that the park needs to provide more formal camping facilities, your assertion that there is a “responsible majority” of lochside camping visitors is simply not borne out by our experience every weekend of the outdoor season. Think I’m exaggerating the problem? If you do, come and meet us and other locals, see the problem for yourself and then make informed rather than reflexive comment.